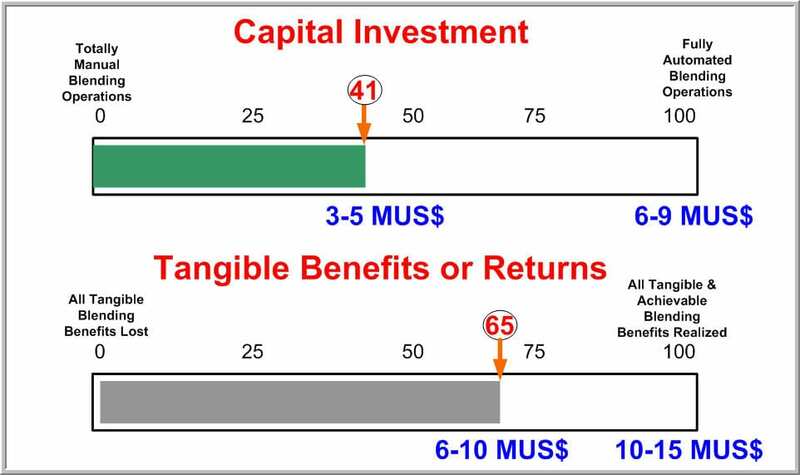 A refinery typical produces 70-85% fuel products (gasoline, diesel, LPG, fuel oil) of its crude throughput by blending 10-12 refinery products which vary in both qualities and monetary value. 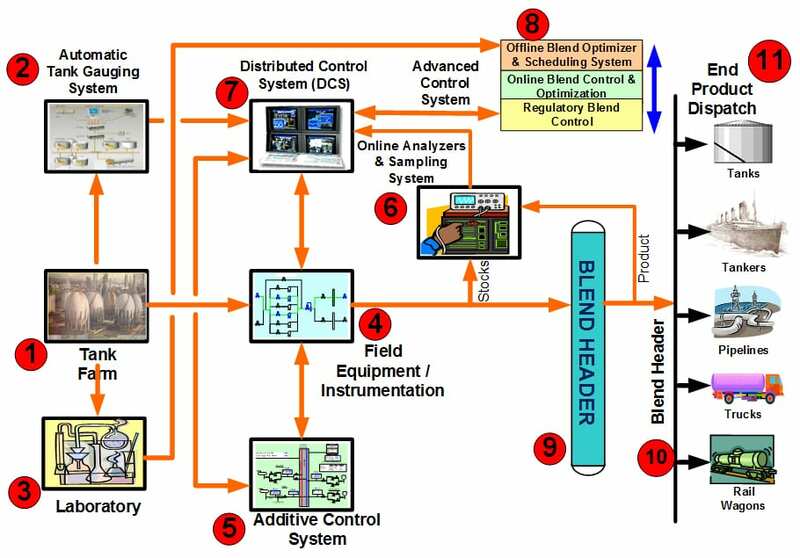 These fuel products have very strict specifications to meet and refinery use automated fuels blending control system to optimize and control their properties. 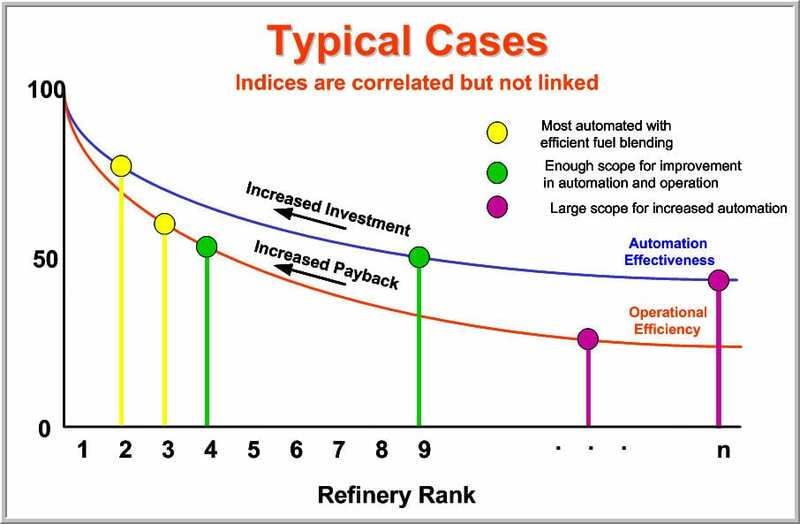 It is industry known fact that a refinery can lose 1M$/year for a giveaway of 0.10 octane for 100KB/day refinery. Hence, the management is always concerned about the state of their fuels blending system and look ways to improve it to maximize the bottom-line from the their fuels blending control system. 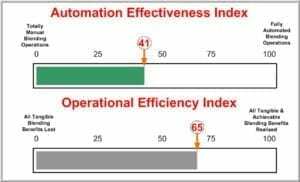 OMS has developed a propriety methodology with verified Proof Of Concept (POC) to bench-mark the refinery’s fuels blending control system by using two indices, Automation Effectiveness and Operational Efficiency. The first index assesses the suitability of existing infrastructure of fuels blending system such as equipment, DCS, analyzers, tank farm management, etc. while the second index evaluates the operating practices in terms of control and optimization of blends, work-flow to schedule and execute blend orders, feedback data reconciliation, etc. by analyzing the refinery’s blend data for 6-12 months period. 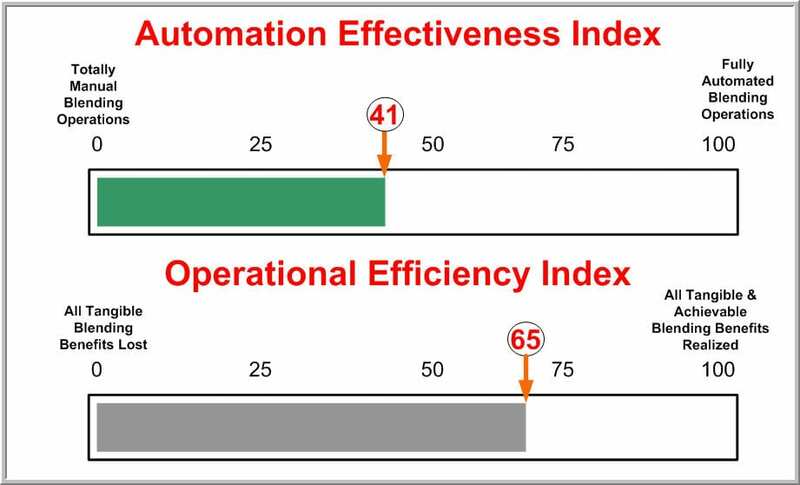 These two indices also gauge the budgetary investments required either to convert manual to automated system or upgrade automated system to state-of-the-art blending control system. 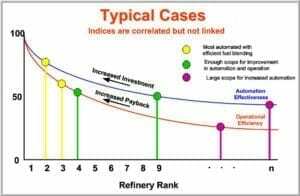 Another important outcome of this methodology is to enable comparison with other refinery’s fuels blending systems as well as monitor the accrued benefits in terms of KPI before and after recommended upgrades of the blending system. 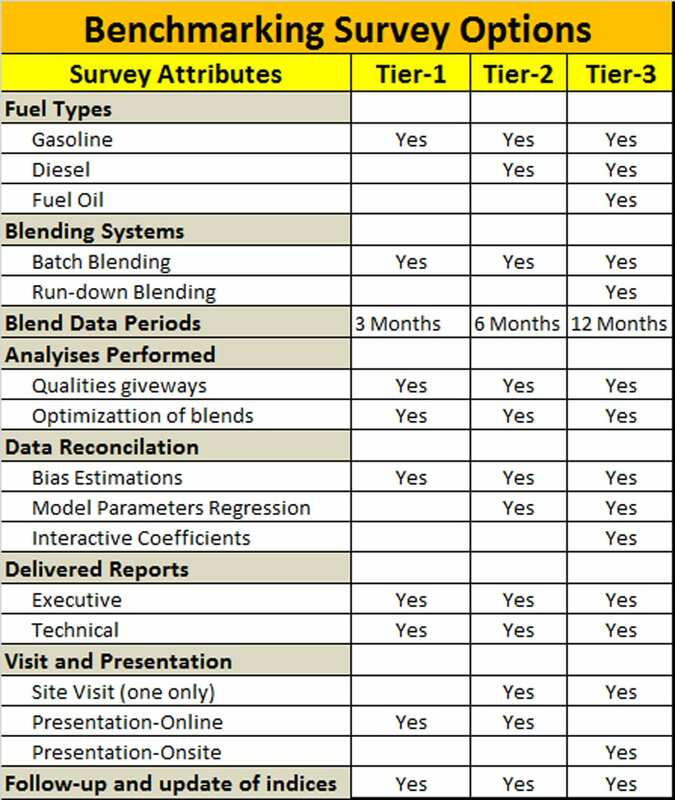 OMS has launched the world-wide bench-marking campaign to survey the refineries’ fuels blending system and offers the following three tiered options for the details of the survey contents. 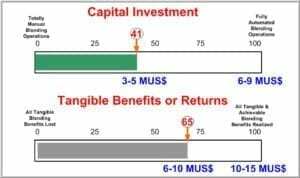 Typical duration of completion of survey would be 3-6 months depending upon the tier chosen and promptness of communications between OMS and the refinery to exchange information about refinery infrastructure and blending data. Need more information or how to sign-up? There is no dead-line to sign up for the survey as it is perpetual and your refinery state indices will be compared with other refineries during your participation. However, OMS recommends to act now in view of low oil prices to benefit from the knowledge of state of your blending system and act on the recommendations when the oil prices resume to normalcy in near future.